The work of New York musician and photographer Taylor Deupree is often inspired by the winter landscapes surrounding his studio. 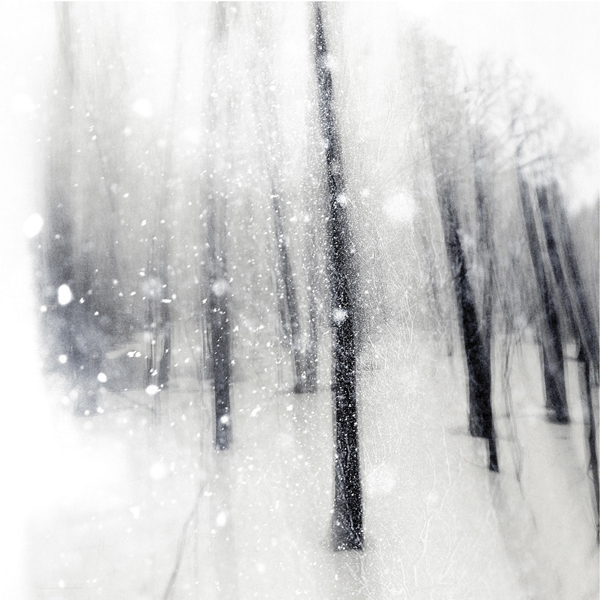 His work echoes the hushed, monochromatic beauty of the snow and northeastern forests. The winter of 2013/2014 set records in New York for snowfall and cold temperatures. Deupree’s creative output couldn’t help but to be guided the brutal weather, which continued through the start of spring. The Long Winter is a collection of starkly beautiful photographs Deupree has taken over the past couple of years in New York and around the world on his travels. The images capture the cold and the quiet of winter but at the same time show a fragility and warmth of an artist looking inward, exploring existence through nature’s unrelenting beauty.